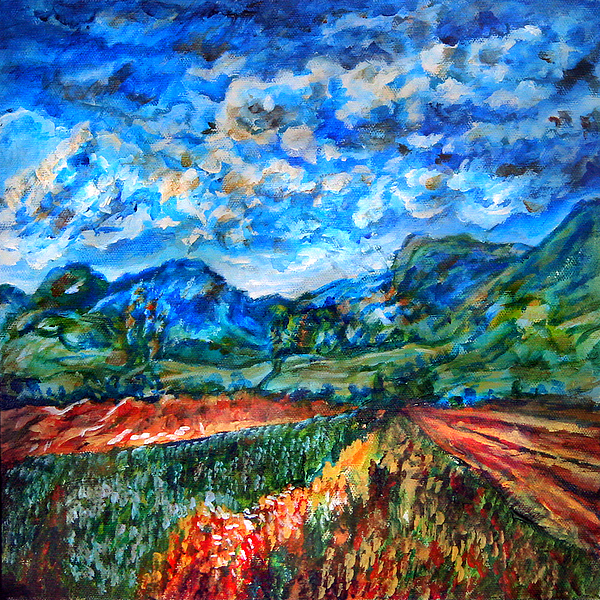 Tide Of Clouds is a painting by Laura Heggestad which was uploaded on January 16th, 2010. I personally love the sweeping energy of this painting. It reflects something perhaps we have all felt under a stormy sky--being a very small member in an immense, breathtaking world. This painting is done in a moderate to thick impasto, and in a vivid yet slightly more limited color palette than some of my other works. I would be happy to re-create this artwork for you if you are interested in having an original you can actually touch! There are lots of fun, textured areas on this painting! Thank you so much! You are one of the first people to comment on my art collection since I got started on this wonderful website yesterday. I appreciate the welcome!